You are currently browsing articles tagged Trinity Presbyterian Church. Frequently we have heard pastors speak about how they love to preach the Word of God. And that is great. But to hear that God’s people love to hear their pastors preach, well, that is less heard today. Yet it was the case that people loved to hear the Rev. Dr. Robert Strong preach the Word. Who was he? 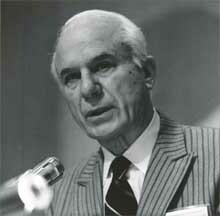 Robert Strong was born in the windy city of Chicago on June 13, 1906. He moved to California to attend college soon after his graduation from high school. He graduated from the University of California at Los Angeles in 1920 with honors. He studied next at the University of Southern California for his Master of Arts and Master of Theology degrees in 1930 – 1932. Returning east, he attended the newly formed Westminster Theological Seminary in Philadelphia, from which he earned his Bachelor of Theology degree. A Doctorate of Sacred Theology from Temple University finished out his educational experience. At some point prior to 1936, he was ordained in the Presbyterian Church in the U.S.A. But in that pivotal issue confronting the Presbyterian Church in the mid thirties, Robert Strong took his stand with Bible believers and joined the Presbyterian Church of America in 1936. He was to stay in that new church and later on through the name change to the Orthodox Presbyterian Church until 1949. Part of his initial pastoral ministry took place in Willow Grove, Pennsylvania, when he led 225 members out of the PCUSA in 1936. For three vital years, Pastor Strong met with the members of this beginning church in the American Legion post. The church continues today as a congregation of the Presbyterian Church in America. Dr. Strong joined the Presbyterian Church in the U.S. in 1949. Why the change? Students of Presbyterian history realize that there was a schism in the Orthodox Presbyterian church in that year of 1949 between the views on apologetics of Cornelius Van Til and Gordon Clark. Robert Strong left the Orthodox Presbyterian Church and joined the Southern Presbyterian church, indicating his position on the topic. Two Presbyterian churches down south were sites for his pastorates. The first was the First Presbyterian Church in Augusta, Georgia. And the second was Trinity Presbyterian Church in Montgomery, Alabama. Both churches are presently in the Presbyterian Church in America. In 1973, Dr. Strong left the pastoral ministry to become Homiletics and Practical Theology professor at Reformed Theological Seminary, teaching there until his retirement in 1978. After a life time of service for Christ, he would enter glory in June 17, 1980. From the Journal of the Evangelical Theological Society, the following memoriam was written: “Robert Strong was a model Christian scholar, possessed of a keen mind that he used well. He read widely and had varied interests, one of them being the relation of Christianity, the Bible, and science. He was a highly gifted preacher who loved to preach, and people loved to hear him preach. He enjoyed greatly the opportunity to participate in the equipping of young men for the gospel ministry. He was a man of many gifts who used those gifts well in the service of our Lord.” Using gifts well in the service of the Lord! Are not all Christians in general, and Christian ministers in particular, to use their God-given abilities well? May God grant that it be so. Born 13 June 1907 in Chicago, IL to Walter Wills Strong and his wife Genevieve Kipley Strong. Educated at UCLA, 1926-30, AB; University of Southern California, 1930-32, AM, Th.M. ; Westminster Theological Seminary, 1933-34, Th.B. ; Temple University, 1936-38, S.T.D. Married Roberta Kirkpatrick, Long Beach, CA, 27 May 1933. Children born to this marriage included Patricia (Mrs. Harry Gould Barrett, Jr.); and James Walter Strong..
Pastor of First Presbyterian Church, Augusta, GA, 1949-59. 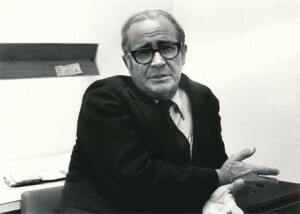 Professor, Reformed Theological Seminary, 1973-1980. Died on 7 June 1980 in Pensacola, Escambia County, Florida. A Study of the Factors of Persuasion in the Sermons of Charles Haddon Spurgeon. [Los Angeles] University of Southern California, 1933 . Microform, 72 l.
“Paul’s Gospel,” The Evangelical Student 14.1 (January 1939): 8-11. Doctrinal Sermons : Preached in the Winter Quarter of 1960 in Trinity Presbyterian Church, Montgomery, Alabama. Montgomery, Ala. : Trinity Presbyterian Church, 1960-1961? 59 p. : port. Sermons on the Last Things : Preached in the winter quarter of 1961 in Trinity Presbyterian Church, Montgomery, Alabama. Montgomery, Ala. : Trinity Presbyterian Church, 1961. 84 p. : ill. Contents: Does the soul survive death? ; What are they doing in heaven? ; Is there such a place as purgatory? ; Is hell real? ; Will Christ return to earth in person? ; What must occur before Christ comes again? ; How will Christ return? ; Will the dead literally be raised to life? ; Will there be a Millennium? ; Why is a final judgment necessary? ; The New Heavens and the New Earth; What made that Friday good; Easter privileges. Sermons on the Apostles’ Creed : preached in the winter and spring quarters of 1962 in Trinity Presbyterian Church, Montgomery, Alabama. Montgomery, Ala. : The Church, 1962. 110 p.; 1 port. Sermons on the Order of Salvation : preached mainly in the winter quarter of 1963 in Trinity Presbyterian Church, Montgomery, Alabama. Montgomery, Ala. : Trinity Presbyterian Church, 1963. 106 p.; port. Holy Week and the Civil Rights Demonstrations at the Churches : A Sermon-Address. [Montgomery, Ala. : Trinity Presbyterian Church, 1965. 1 v. (pages not numbered) ; 27 cm. Sermons on the Covenants and on Romans Eight : preached in 1964 and 1965 in Trinity Presbyterian Church, Montgomery, Alabama [Montgomery, Ala. : Trinity Presbyterian Church, 1965. 156 p.; port. ; 23 cm. Contents: Holy Week and the Civil Rights Demonstrations at the churches. Sermons on the person and work of Christ : preached in 1966 in Trinity Presbyterian Church, Montgomery, Alabama. [Montgomery, AL : Trinity Presbyterian Church, 1967. 140 p.; port. Sermons on the Person and Work of Christ. [Montgomery : Trinity Presbyterian Church, 1967. 140 p.; port. The Issues We Face . Address recorded at the Atlanta rally of Presbyterian Men United, Atlanta, Ga., Dec. 6, 1969. Sound recording, 1 audio cassette, 53 minutes in length, mono. The Modern “Tongues” Movement (glossolalia). [S.l. : s.n., 1970. 19 p.; 23 cm. The American Tradition is in Danger : A Sermon-Address. [S.l. : s.n., 1962-1994? 1 v. (unpaged) ; 15 cm. The Story of Man : Sermons preached in 1970 in Trinity Presbyterian Church, Montgomery, Alabama. Montgomery, Ala. : Trinity Presbyterian Church, 1970-1975? 142 p.; port.